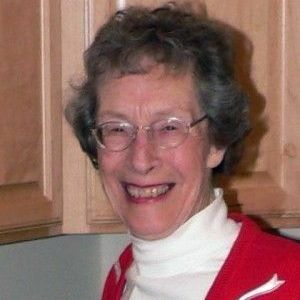 MISSOULAâ- Audrey Kramis Schultz passed away unexpectedly from a stroke Friday, Feb. 3, 2012, at St. Patrick Hospital. She recently celebrated her 85th birthday. She was born to Walter and Marguerite Kramis on Jan. 3, 1927, in Missoula. She was a lifelong Missoulian who graduated from Missoula County High School and the University of Montana. On June 6, 1949, Audrey graduated from UM and married Walter R. Schultz on the same day. She was a member of the Kappa Kappa Gamma Sorority. Audrey enjoyed summers on Flathead Lake, where she spent countless hours towing water skiers around Skidoo Bay. In later years, she enjoyed traveling the world with Bud. She was a wonderful business partner with Bud in his sales representative business. They were a great team and enjoyed building a successful business. In addition to helping Bud, she was the bookkeeper for the family business, Kramis Hardware. Audrey belonged to a variety of bridge clubs and made many lifelong friends at the bridge table. She will be greatly missed by her surviving children: Steve, wife Kerry and sons Alex and Evan; Nancy, husband Jeff and daughters Katie (Sean and great-granddaughter Brynn), Traci and Erin; and Wally, wife Julie and sons Jordan and Tanner. She was preceded in death by her husband, Walter "Bud" Schultz. A memorial service is planned for 11 a.m. Friday, Feb. 10, at Christ the King Church. Audrey's wishes were for cremation and for her ashes to be placed beside her beloved husband Bud.